I just told Fiddledaddy that I needed to sit down at the computer to throw up my Saturday Stirrings post. Which may have been an unfortunate choice of wording. Time is of the essence because at midnight tonight, my web server is shutting me down for server maintenance. My technical advisor tried to explain it to me, but gave up when my eyes glazed over. This process could take anywhere from 5 minutes to 48 hours. So, it’s not a technical malfunction that I caused by spilling a caffeinated beverage on my keyboard. Just so you know. To make a short story excruciating, that’s why I’m “throwing up” this Saturday Stirrings post on Friday. Since having 3 children, I’m never early for anything. This whole wheat waffle recipe is what I’ll be making on Saturday morning for my family. In fact, I make up a big batch twice a week, lay them on a cookie sheet to flash freeze them in the freezer, and toast them for everyone to enjoy throughout the week. These are popular with my bunch of animals. They are the best tasting waffles I’ve ever eaten. Yes. I’m bragging. I found the basic recipe on-line, and just started experimenting with making them healthier and tastier. Think of me as Rachel Ray. But without all the money. And the TV show. Oh. Here’s an interesting factoid. I learned from Martha Stewart (my pretend best friend) that using fresh baking powder makes a world of difference in your baking. Evidently, baking powder only stays fresh for about 6 months. Imagine my embarrassment when I realized that I had been using the same tired old baking powder for FIVE YEARS. That explains a few things. Without further adieu, I present, the worlds most perfect waffle. * I have used all Splenda here. I noticed no difference. You could also garden variety sugar, for you purists. In a large bowl, stir together dry ingredients. Add pumpkin, sweet potato, milk, eggs and oil; mix well. Cook in a preheated Waffle Iron until golden brown. This makes approximately 12 waffles. Maybe more. Hard to get an accurate count when they are eaten right off the waffle maker. 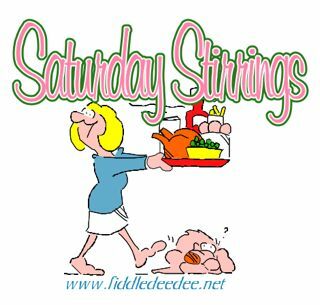 If you have a Saturday Stirrings post on your blog, link up with Mr. Linky. For more instructions, click here. Learn more about Saturday Stirrings here. You rock my friend, can’t wait to try these. Do you use pumpkin puree from the can in the baking section? And do you make your own sweet potato puree and if so what’s the easiest way to do that? Great! Another waffle recipe. These things no longer intimidate me, after the great Pecan Waffle Bake of 2008 last Monday. Once din-din is done, I’ll take a pic and get the recipe posted. It came from another blog. So full credit is in order. By th way, you have mail ….. little missy. IT NEVER FAILS. I screw up posting to your Saturday Stirrings EVERY time. Could you please delete #1. 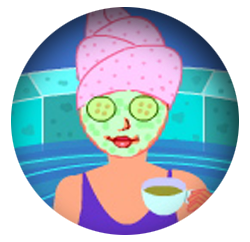 Anyone going there will be invited to post whatever they want at my blogspot. Don’t ask me how I am so techno challenged. I just am. OK. So sorry for the problems I bring to your site! I try to hide all my problems in my house where no one knows about them! I love waffles. Good memories of us kids filling all the squares with butter until Mom would notice and have a fit! I think I’ll have to just break down and buy a waffle iron. I’ve been in charge of my own kitchen for over 11 years now and have never owned a waffle iron. Shoulda snuck Mom’s in my suitcase when I got married. Those do sound good and healthy, although I’ve never used wheat germ in all my life. I’m assuming it would be in the aisle with the flour and stuff. I do use canned pumpkin for my puree. And then I freeze the rest of the can in a freezer baggie. Sweet potatoes are easy to puree. I bake 4 to 6 in an oven (covered in foil) for 60 minutes at 400 degrees. When they’ve cooled, I tear off the peel and throw them in my food processor with a tiny bit of water. Then I measure out about 1/2 cup per baggie and freeze. Any recommendations on protein powder? I’ve never tried it before! I buy a gi-normous container of EAS Vanilla 100% Whey Protein powder from Wal Mart. It has 23 grams of protein per scoop. I think it costs around $13.00 but lasts a long time. Oh, good! I was afraid I was going to have to go to a health-food store. Those places scare me!! I hate to admit it, but I don’t think a sweet potato has ever seen the inside of my oven. But if you say these are that good, then maybe the oven will allow it. Glad to see the site back up!! This looks yummy! Does it work as pancake batter too? I don’t have a waffle iron right now. I was so disappointed when you’re blog wouldn’t come up this am. I’m doing a happy dance now though! Oh!!! These sound fabulous!! I love making extra waffles to keep on hand in the freezer, although I have to make A LOT to be considered “extra!” I usually chow them down before they see the freezer! I would like to try these! Thanks for the recipe! Yum! If I had all the ingredients, I would make these tonight.